August 16, 2016 (Joseph Thomas - NEO) - Washington's friends in Southeast Asia, with only a few exceptions, have had a difficult time in recent years. Their favourite billionaire-politician Thaksin Shinawatra has been repeatedly ousted from politics in Thailand, Anwar Ibrahim now resides in jail in Malaysia and prospective friends in The Philippines and Indonesia appear more interested in doing business, or at least in smoothing over relations with Beijing, than investing too deeply in Washington's various and risky regional projects. Then there is opposition leader Mr. Sam Rainsy of Cambodia. The US State Department's VOA (Voice of America) media platform describes him as "self-exiled." He has been an opposition politician in Cambodia for decades, and in between inciting unrest and subsequently fleeing abroad to France before being regularly pardoned and allowed to return home, he has served as a constant contributing factor to the nation's instability. 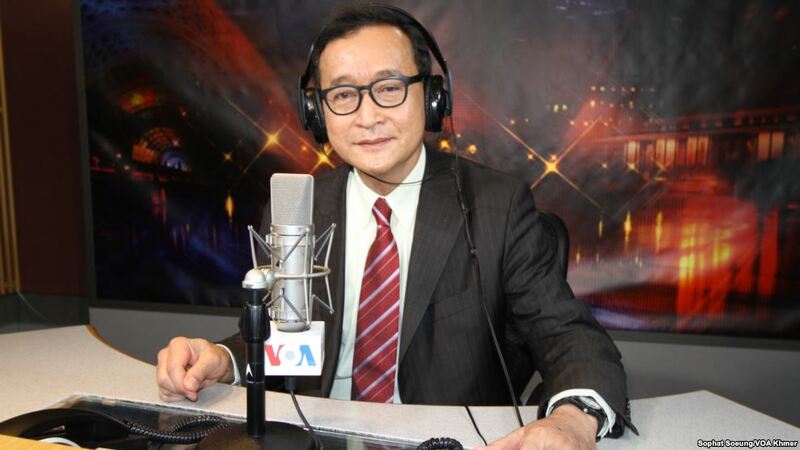 VOA's recent article on Rainsy, "Cambodian Opposition Leader Says Europe Considering Sanctions," does much in explaining the vector he serves through which pressure is exerted upon the ruling circles in Phnom Penh by the West. For a political leader to seek foreign sanctions against his own nation, especially in light of the demonstrable damage they have incurred elsewhere around the world, seems to indicate Rainsy's motivation is less in serving the Cambodian people, and more in serving himself. For the Cambodian voters he seeks to court in upcoming elections, the fact that he has attempted to seek favour among the nation's former colonial rulers in order to place economic pressure on the nation in a bid to place himself into power, seem to chaff against his own previous attempts to use nationalism politically. In particular regards to "the murder of a prominent government critic," VOA admits it is only "believed" to be a government-sponsored killing. That the opposition consisted of members of the National Rescue Party, headed by Rainsy himself, suggests at the very least, crude political opportunism at work, and at worst, invites much more sinister theories surrounding the possible role of the opposition itself in Kem Ley's death, side-by-side theories promoted by VOA against Cambodia's sitting government. Prime Minister Hun Sen has recently made comments regarding what he called "colour revolutions," or, instability orchestrated by Washington across MENA (Middle East and North Africa). It may have been a hint toward his own suspicions that similar manoeuvres are now being aimed at Southeast Asia and Cambodia itself. Of course, protesters in the streets are only one element of any potential colour revolution. Armed elements are the other. These elements are usually prepared and deployed covertly, acting as snipers to escalate street protests into increasingly violent confrontations with government security forces until finally, these armed elements can pose as "armed resistance" fighting against government violence they themselves provoked. For Southeast Asia whose economic rise is rooted in relative regional stability, Cambodia's political crisis transforming into such a "colour revolution" would jeopardise peace and prosperity for both itself and its neighbours. It would also greatly complicate the developing row between Beijing and Washington, which has so far been neutralised by nations like Cambodia who have refused to side with Washington and drag Asia into a costly conflict with China. Many suspect this is one of the primary driving factors behind the West's support of opposition figures like Rainsy and various attempts to put protesters in the streets. However, as has been seen elsewhere around the world, if the opposition can be thoroughly exposed in both means and motivation, and violent elements quickly identified and neutralised before such a "revolution" begins, the destructive destabilisation Prime Minister Hun Sen referred to in recent comments, which consumed the Middle East, can be avoided in Southeast Asia and in Cambodia in particular.